In July 2012 I presented my new installation, Legacy. Read the Guardian article about it here. Go straight to some short films about it here. Always working alone, over several weeks in early spring 2012 I carried 250 kg of compost into the building and up to the seventh floor, where I spread it out on a raised area to create a small allotment. I sowed the allotment with seeds of radishes, spring onions, chilli, spinach, onions, endive, salad leaves and chives. 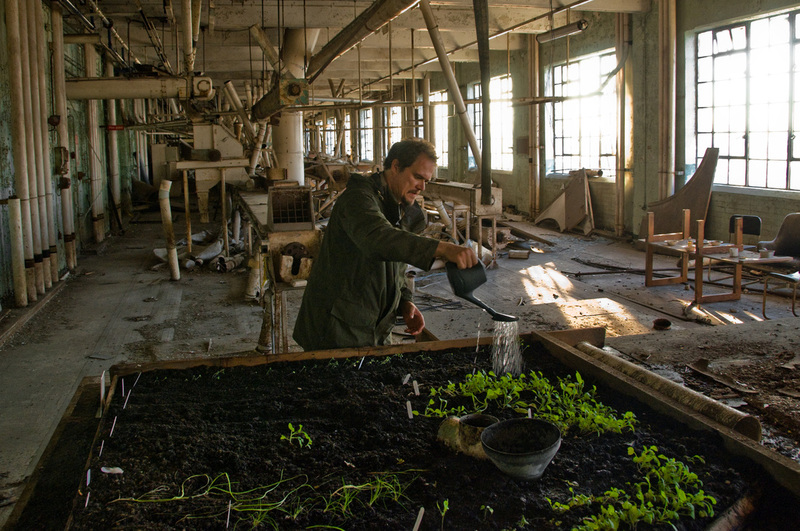 Fed by light from the large industrial windows in the room and water dripping through the broken ceiling, against all odds the seeds have now grown into plants. There is an area on the roof of the building where a blocked drain has created a large enclosed pool area. From this beautiful vantage point you can see the much of the City and East London up to the Olympic Park. 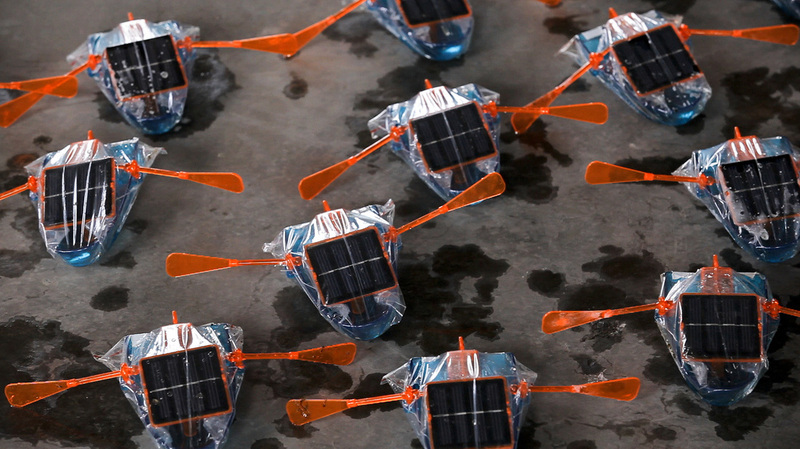 I acquired 200 solar powered toy rowing boats, carried them up to the roof and launched them on the pool. When the sun shines the boats, one for each country competing at the games, will row with each other around the pool. I acquired a battery powered TV / DVD set, which was set up in an internal room to play a DVD of the opening ceremony of the Athens Olympics. Of the 22 buildings built for the 2004 games, 21 are now abandoned, fenced and guarded, just like the building inside which Legacy has been set. I like the Olympic Games, I always have. But over the past year there have been aspects of the London 2012 games with which I have become increasingly uncomfortable. I began to question the enormous outlay required to put on this event at a time of 'we're all in this together' austerity, particularly against the backdrop of cuts to popular school sports programmes. I began to question the validity of claims that the Olympic infrastructure was the best way to regenerate East London. And I began to question how we had come to rely on hyper-commercial business concerns in order to deliver the Games. 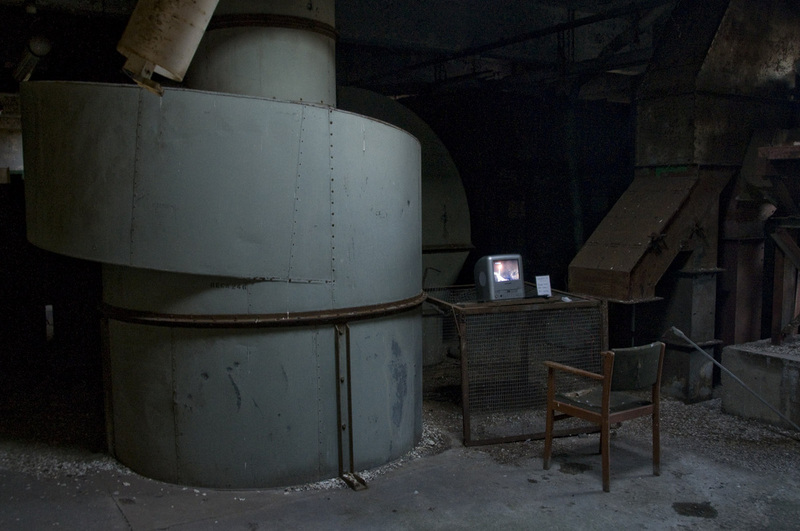 With this in mind, in February 2012 I embarked on my Legacy installation, inside a disused factory building in London's Docklands. This installation takes place in three parts, imaginatively titled Legacy 1, 2 and 3. The word legacy is overused to the extent of being worthless. The current drive to force create a legacy, by everyone from politicians and Games organisers to tourism experts and business analysts, exposes an obsession to stage manage how our actions will be perceived in the future - seen elsewhere with the haste with which political memoirs are now released - and is at best mindless rhetoric, and at worst undermines the very substance of that being created. I believe legacies are revealed over time, not created at point of manufacture. My installation Legacy is not a protest against the Olympics. I hope that the London 2012 games are a success, and I will enjoy watching the remarkable feats of our athletes. However I think it is valid to examine aspects of the Games that we have been delivered. Legacy is a physical realisation of the questions I have asked myself, and in many ways an alternative celebration of the Olympic spirit. Nick Franglen. London, July 2012. I filmed many aspects of my preparations for Legacy. Click here to see a selection of those films.